In January 2010, artist Rachel Younghans asked people around the earth to take a picture of the Moon above them beginning on the evening of January 19 and ending on the evening of January 20. It was full moon and we were all asked to take the picture at a given time. She is releasing today this 48-second video, in which you see the Moon as it makes one full, 24-hour rotation around the earth, starting in Senegal, Africa and moving west, at one photo per minute. 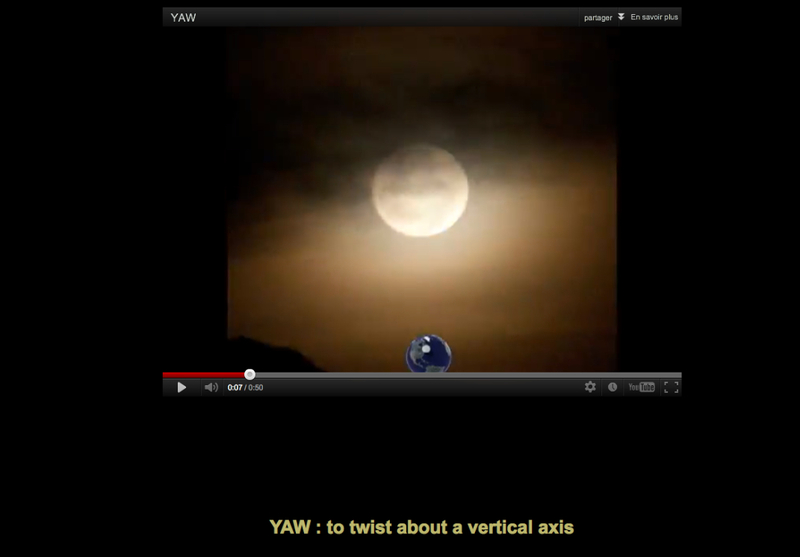 She named it YAW, which means to twist about a vertical axis. I like this piece very much, and not (only) because I sent her a picture of the Moon over Montparnasse in Paris but because it is a light delicate piece, simple and effective (we all share the same sky on our spaceship Earth). The sound she chose is also very important. Instead of the often « lyrico-romantic » classic music put on videos relating to space, she uses the sound of wind, as if we could hear the sound of the Moon-Earth system rotating. Ce contenu a été publié dans Blog, Space Art, avec comme mot(s)-clé(s) Annick Bureaud, Lune, Moon, Rachel Younghans, Space art, Yaw. Vous pouvez le mettre en favoris avec ce permalien.